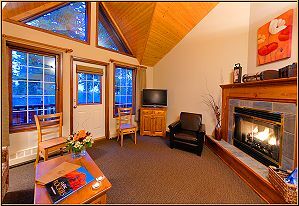 Paradise Lodge Suites are situated in two buildings of suites and offer mountain views surrounding the property. Being larger in square footage than the cabins, the suites offer a modern airy flavor still keeping in theme with the wooded mountain setting. The Standard Building is a street facing building located closer to the road with direct mountain views. The Preferred Building is located closer to the back of the property and over looks the property with mountain view surrounding. Three types of suites are available. Two bedroom “Saddleback” units, which sleep a maximum of four persons, are located on the ground floor with outdoor decks. 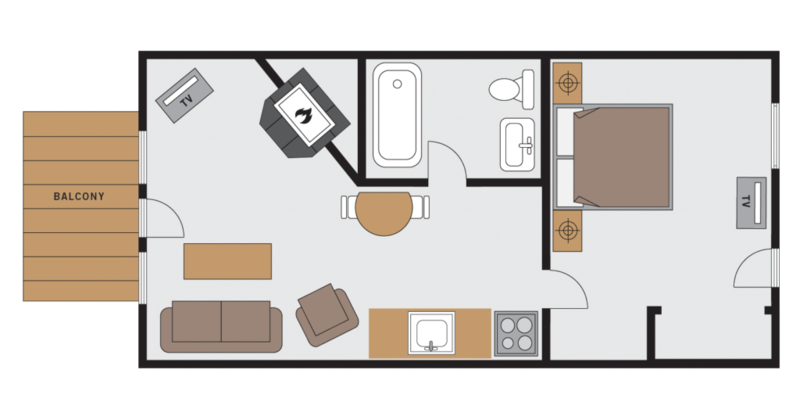 A convenience area consisting of fridge, microwave and coffeemaker separates the two bedrooms. Upper floor “Fairview” one-bedroom suites are complete with kitchens and living-room with gas fireplace and cathedral ceilings to enhance the views. These units also have balconies to relax and enjoy the surrounding vistas. “Temple”, the honeymoon suite, is complete with double soaker tub in the bedroom and a view of Mt. Temple, from the balcony. All suites contain fridges, hairdryers and coffeemakers with coffee. We have chosen not to put phones in any suites, and all suites are non-smoking. 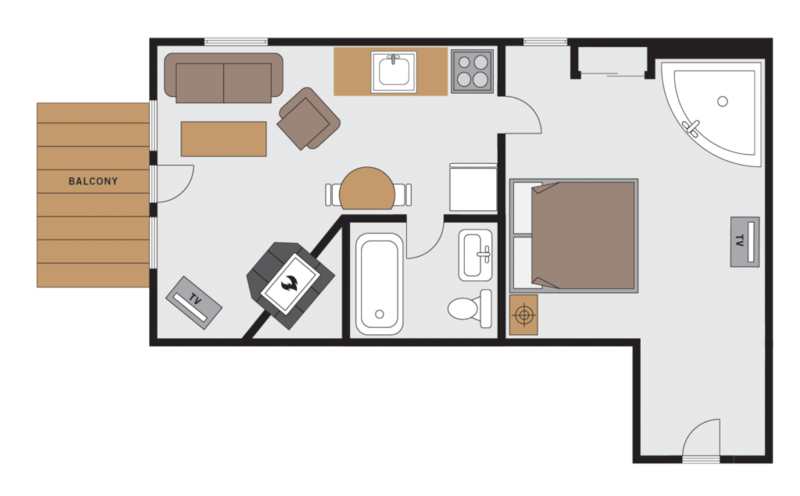 Two-room suite with queen size bed in each room, bathroom with tub-shower, convenience area with refrigerator, microwave, and coffee maker, TV, and deck with view. *Please note these units do NOT have a complete kitchen. Daily maid service provided. No phones in any rooms. All units without kitchens contain mini-fridges, microwaves, and coffee makers. A deposit of one night’s rental, processed to Visa, MasterCard or American Express, is required to confirm a reservation. If cancellation is received 14 days prior to your arrival, the deposit will be refunded. If cancelling within 14 days prior to your arrival, 100% of the first night’s deposit is non-refundable. All cancellations must be received in written format. Please note all of our rooms are non smoking and pet free. *All rates subject to 4% Hotel Tax, a 5% Goods & Services Tax and a 2% Tourism Improvement Fee. Open approximately Mid-May to Mid-October.